AED 1599 1599 Due to Valentine's day, prices are up for the selected delivery date. Rainbow means a combination of all colors. 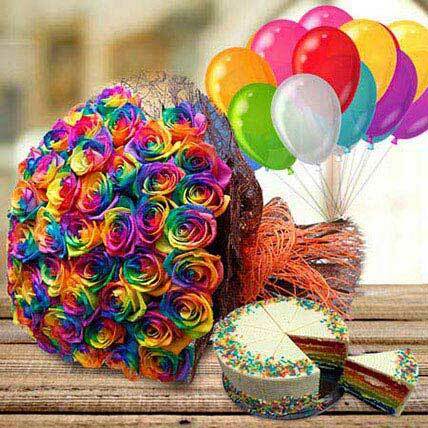 We have brought a bunch of rainbow roses for your very special day. These rainbow roses would narrate your love songs in the most melodious tunes as they refer to the most passionate feelings of love and romance. A rainbow cake is also there to complement these roses. Therefore, place an order now!